Something to sink your toes into. 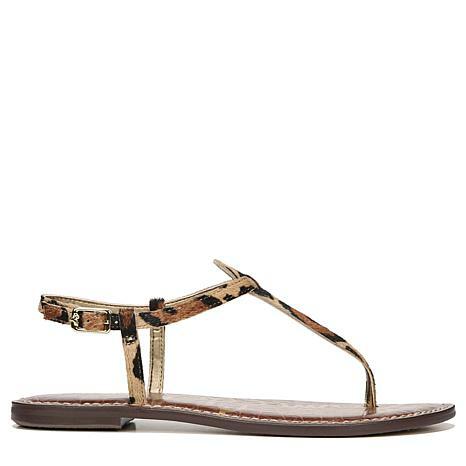 Get summer-ready style with the help of Sam Edelman. These thongs pair with almost everything ... even your most flattering lounge wear. Love these shoes...they fit great and have become my go to shoes since the weather has warmed up. When I saw these, I immediately ordered them. Wasnt sure about the fit as these were my 1st purchase of Sam Edelman. They are perfect! Ive been looking for a replacement to a similar pair from 9West (one of the straps broken & cant be fixed). The fit is comfy & they are well made. Cant wait to wear this summer!